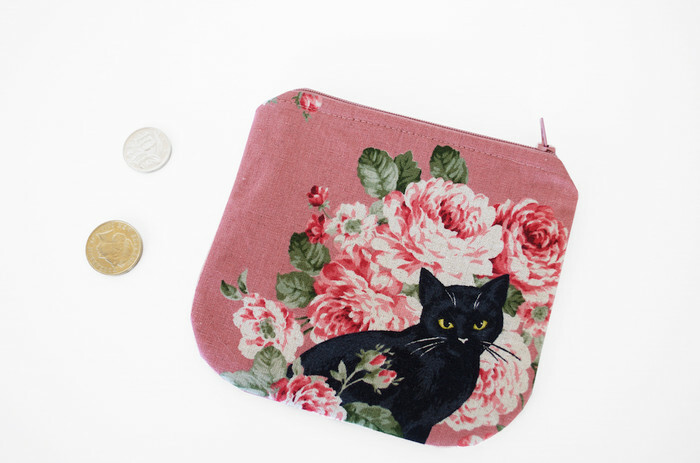 This beautiful coin purse is made with Japanese cotton linen. 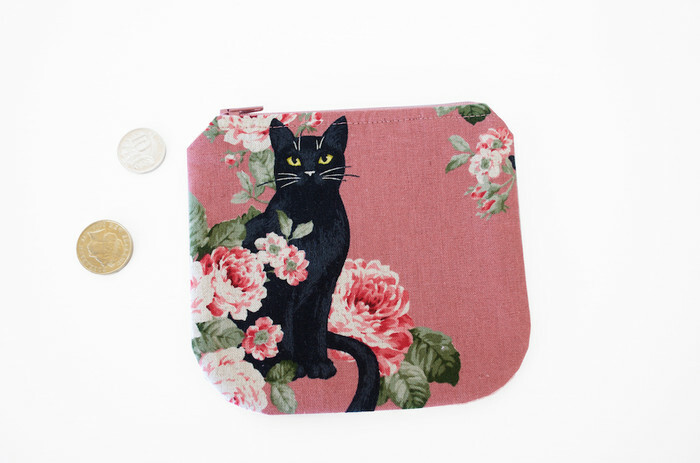 Stunning fabric featuring a black cat and pink peonies. 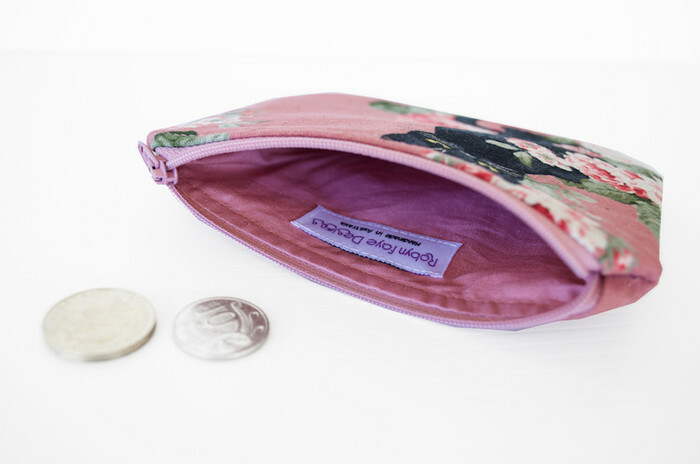 This zip top bag can be used for makeup, small change, keys, stitch markers and lots more. 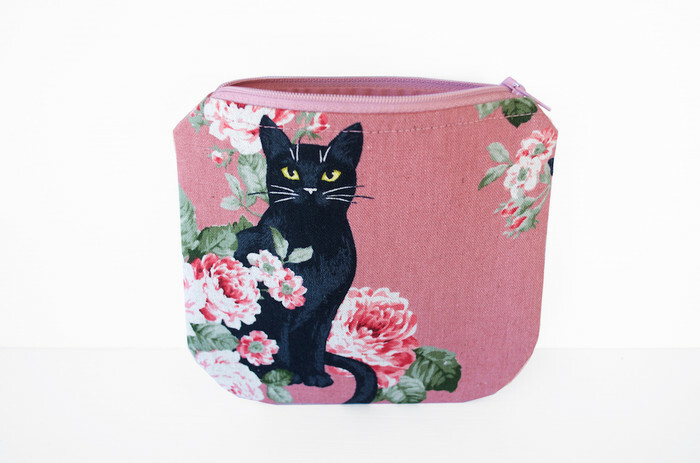 Pink cotton fabric lines the bag with heavy weight stabiliser between the fabrics to add extra strength. I've used a nylon zip in the same dusky pink colour way. All fabrics were pre washed to eliminate shrinkage and dye run. Wash by hand or delicate machine wash.